Eric started Zehnder Homes back in 2006. 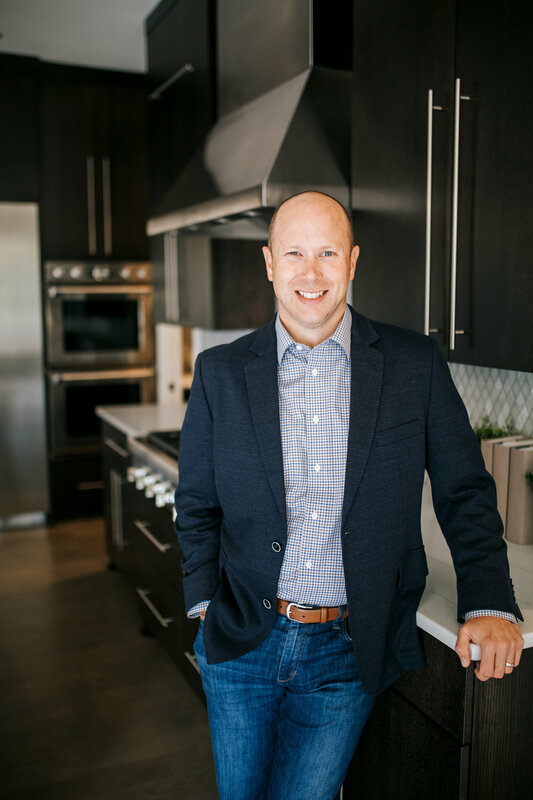 He graduated from SDSU in 2002 with an electrical engineering degree, and after a year of working as an engineer, made a career change to real estate which led to him starting Zehnder Homes. He loves building homes and truly enjoys seeing a client’s vision become reality. Outside of work, Eric is busy with his three boys & their many sports activities. He also enjoys traveling with his wife & family, and hanging with friends. Megan manages all accounting processes at Zehnder Homes. She is a vital component to the home build process as she ensures all draws & AP/AR are completed with high-attention to detail. Being a newcomer to the construction industry, she has dove in head first with a passion for the process & a willingness to help out wherever needed. In her free-time, she enjoys traveling, playing sports, and spending time with her daughter & husband, friends, family, and dog Rocky. As Production Manager, Keith spends most of his time on-site managing the flow of the job-site. He brings over 25 years of experience & is a born handy-man. Keith is a valuable part of our team as he is responsible for quality control, managing subcontractors, warranty, and the day-to-day operations in the field. When he’s not working, he enjoys spending time with his two sons. 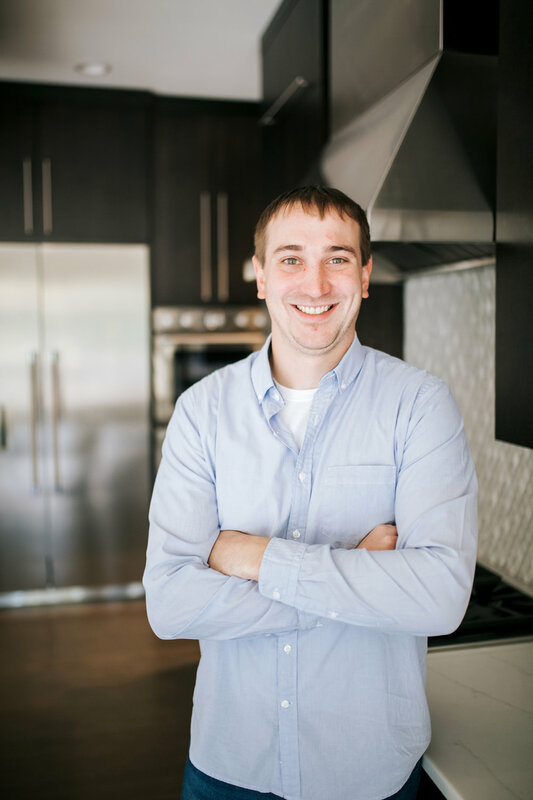 Rob began working for Zehnder Homes in 2015 after graduating from Gustavus Adolphus College, with a degree in Business Management. As Purchasing Manager, he is responsible for ordering of material & pricing options for our clients. Rob has built rapport with our subcontractors & suppliers over the years & works closely to answer questions and insures selections are communicated to the field. He is always there to lend a hand on-site, and in the office. In his free-time, he enjoys spending time with his fiance’ Sara, friends, & family, as well as remodeling his home. Megan works closely with clients throughout the build project, ensuring the selection process is smooth & timely. Her role is fluid as she assists our entire team with tasks throughout the build process including (but not limited to); applying for permits, pricing options, assisting with design selections, social media marketing, website management, and more! Our clients will work with Megan throughout the build and after, as she manages all warranty requests. She is an Executive Committee Member of WINC - Women in New Construction - and enjoys networking & planning their monthly events. When she’s not at the office, you’ll find her spending time with her husband, family, & friends, up at the cabin in Crosslake, or working on home design projects. As a member of ASID, American Society of Interior Designers, Debi’s vast design experience allows her to assist clients through the entirety of their home build project. Her “big picture” vision helps to balance our client’s design goals and functional needs for each space. She works closely with the rest of the team to ensure our clients’ vision becomes reality.